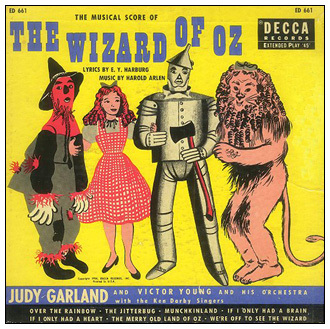 This is the 7" 45rpm version of the Decca "The Wizard Of Oz Cast Album". CLICK HERE to see the 1951 45rpm album. Judy's songs are included in the 1994 CD boxed set "Judy Garland - The Complete Decca Masters (plus)"